We live in a special place. Our family moved to Silverton in 2008 and we quickly realized how fortunate we are to be surrounded by an abundance of amazing food, farms and people. When I heard there was interest in starting a food co-op in town, I jumped at the opportunity to help in any way I could. A food co-op is so much more than a grocery store. As an owner of two other co-ops, I know the benefits and impact they have on the communities they serve. Not to mention all the food my family loves. So, in Silverton, we need convenient access to this food that surrounds us and the farmers need a market that values their dedication and hard work. Owning a share in SFC is a small but powerful way to ensure my community is set for the future and my kids will always have an awesome place to call home! I am a Silverton native but have stayed in the area because of the life of our community. I get so excited about good, pure, and simple food and I am so blessed to be in an area surrounded by beautiful farms. When I meet someone new to the area I am always asking them their favorite vegetable to grow/eat and want to swap recipes and ideas about where to get the best ingredients (food nerd). I joined the committee in 2017 because I wanted to use my skills and input to help materialize a market that brings the local farmer to the local community in a way that is sustainable economically and educationally. I want to be enable people to appreciate the journey and craftsmanship of the products they buy. 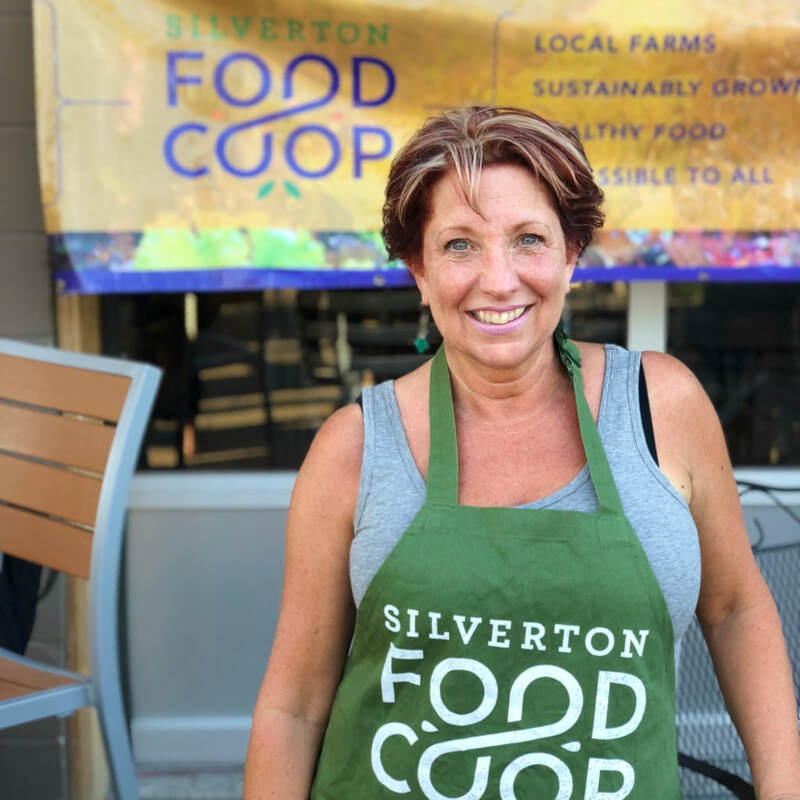 Silverton is a great place for a food co-op. People here share a strong civic spirit and an interest in growing, eating, and having year-round access to real food. For the last 7 years I have been working as a paralegal for a law firm focused on litigation on behalf of consumers and employees. For 20 years before that I was a worker-owner of a co-op bicycle shop. A consumer co-op can be a great business model for selling groceries, and I believe it can drive economic development in Silverton and the surrounding area. I joined the Co-op in July 2017, and I hope to use my small business and co-op experience to help open the doors to a really cool community-owned grocery store. When I’m not working or updating Co-op spreadsheets, I’m off digging in the garden or riding my bike. I was born and raised in Southern California and moved to Lake Oswego, Oregon, over 20 years ago. I have been in the administrative field for my entire career, holding such positions as: Office Manager, Executive Assistant, Rent Assistance Analyst, and most recently, Corporate Performance Specialist. I am currently taking a career break to renovate my “old” new home here in Silverton. I am an apprentice-level beekeeper and have two cats, Charles and Frankie, and a life partner, Mike Martin. I also have two grown daughters, Donna and Desi, a granddaughter, Jocelyn, and a grandson, Wyatt. 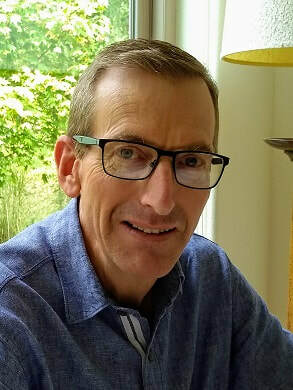 I am a SMART (Start Making A Reader Today) volunteer (since 2014) and have served on two boards, Lake Oswego Toastmasters (Treasurer 2006 – 2008) and Evergreen Housing, Inc. (Secretary 2001 – 2004). I am a wife, mother, farmer and engineer. Our family came to the Silverton area in 2013 to start a farm where we could grow nutritious food, make delicious cider, and experience the joy of living off the land. Growing up in the country outside of Corvallis, my husband and I knew what it was like to be raised in a small town community and we knew we wanted the same for our children. Becoming an owner in the co-op was a way to invest in our new area and show our support for local food resiliency. The passion and spirit that the people of Silverton have for the community is inspiring and we can’t wait for the co-op to be a place we can all be proud of and enjoy together. I am a mother of three, wife of 15 years, and professional photographer. I wake up grateful everyday to be living life on a farm that has been in my husband’s family for over 50 years. Being passionate about mindful eating and knowing where our food is sourced, our family has recently embarked on the adventure of raising our own livestock and growing a large part of nourishment here on our farm. We want our children to grow up appreciating the food we grow and bounty of amazing food provided to us by so many local farms. Excited about a place where we can get access to so many locally sourced products and support local farmers, I am looking forward to contributing where I can to a organization so in line with my beliefs. I was born and raised in Salem. I have lived in Silverton for 22 years and own two homes. I have two boys: Jared, 27, a medical student at OHSU and Steven, 25, a crane rigger in the oil fields in ND. I was a software trainer/manager for a small training company in Salem for 12 years before starting with the IT department at Silverton Hospital where I worked for the last 18 years. I just recently quit my IT job to start a new career as a Health Coach. I am currently in school and will finish my training in December of this year and have my own Health Coaching business. I enjoy gardening, cooking, traveling, people, the outdoors, and so much more. I moved to the Silverton area with my husband and two boys from Reno, NV. There I put my marketing degree to use following my passion for working with and managing non-profits. I also dedicated my time to getting the Great Basin Food Coop off the ground in the early stages of their development. But, it was our desire as a family to make a stronger connection to our food. That led us to the Scotts Mills/Silverton area where we are just starting a small farm growing veggies, and raising chickens and goats. 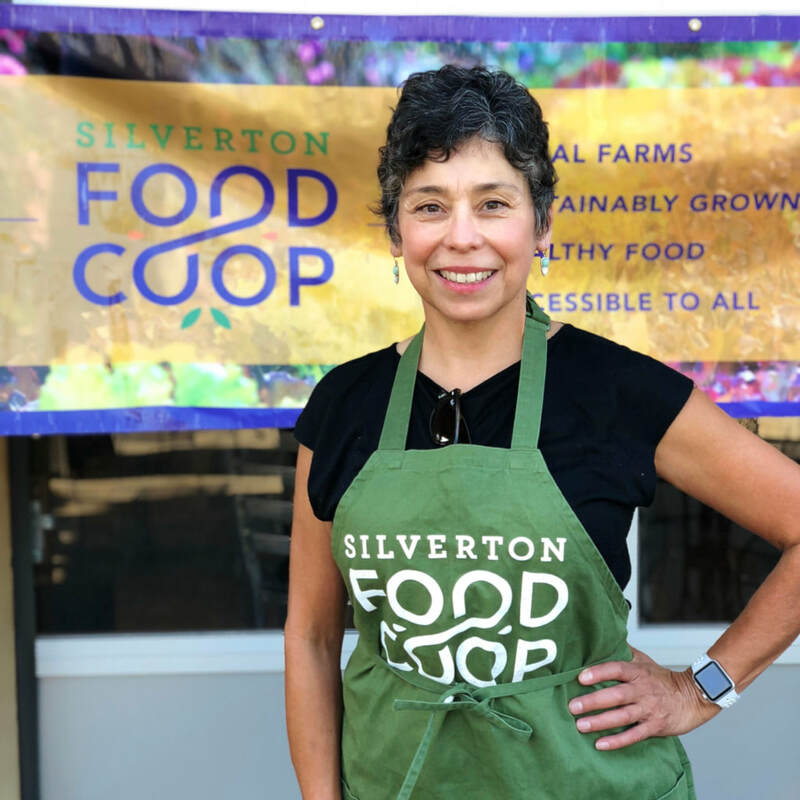 I am so excited to use my experience with co-ops, my passion and history with non-profits, and my love for local small farms and businesses to work on the Board for the Silverton Food Co-op.